Get help knowing when a server is down and how it got there. Monitor 1200+ vendor applications, servers, databases, and storage from a single, easy-to-use, customizable web interface. Be the first to know about server and application issues. Server monitoring software built to automatically discover and help remotely manage hardware and software asset information on all servers and workstations. No more manual tracking with spreadsheets. Get insights across the application stack. Customizable maps can help you easily create logical application groups. Quickly visualize cross-server communication and application dependencies. Map infrastructure dependencies to see a more complete picture, helping you pinpoint the root cause of application performance issues. 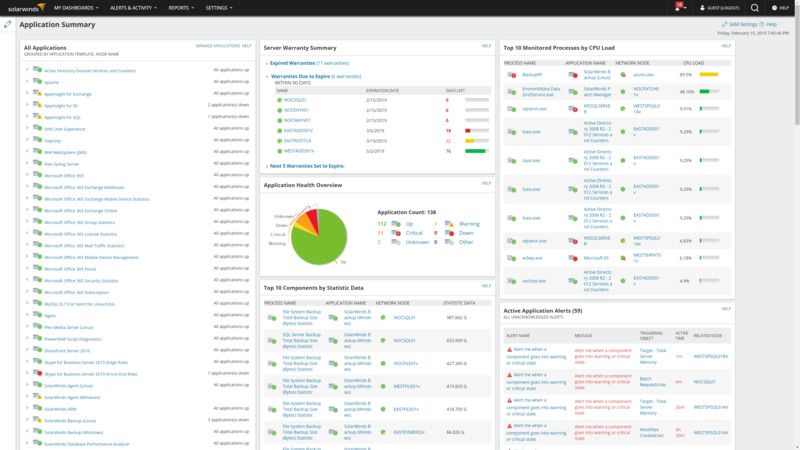 Be able to identify where application issues originate typically in just a few seconds. 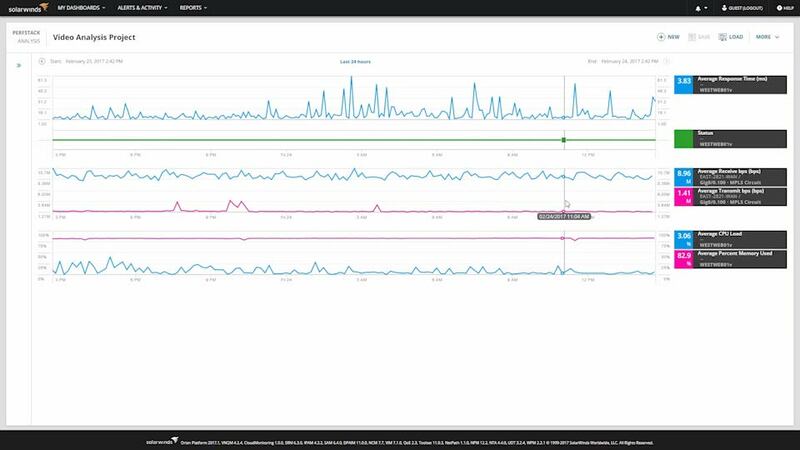 The PerfStack™ performance analysis dashboard helps you to drag, drop, and overlay performance metrics from your systems data and multiple sources (such as network, virtualization, or storage), and view data types on a single chart. Monitor your physical, Hyper-V, and VMware environments. Monitor the health and performance of your on-prem and hosted infrastructure, including physical servers, virtual hosts and guests, and storage. Monitor the Infrastructure as a Service (IaaS) for Amazon AWS and Microsoft Azure. Provide end-to-end systems performance and application monitoring using agent-based and agentless technologies for application and systems metrics. Monitor across multiple data centers, remote locations, and other cloud providers. Get alerts on and track system and application changes. Systems and applications change constantly. Knowing when these changes took place and what changed can be difficult and time consuming. Receive alerts on system and application changes so you can more efficiently track them. Correlate configuration change details with other performance metrics on a visual. Visão geral dos recursos Get help knowing when a server is down and how it got there. What kinds of changes can be monitored? How is this bundle licensed? Can I purchase SAM and SCM as standalone products? Server Configuration Monitor can monitor file changes, hardware changes, software changes, registry changes, and more. SAM and SCM are licensed separately. SAM is licensed by the number of component monitors, which is any measurement of server or application health and availability. Examples of component monitors include performance counters, services, processes, URLs, etc. Yes, you can purchase SAM and SCM as standalone products. SCM and SAM may be purchased separately. If you decide later that you would like the other product, it is easy to add to your existing instance.